The Walking Dead returns to TV screens in America tonight and instead of having to wait a whole week, us lucky British fans are now only having to one day until we get out Walking Dead fix. Season 4 continues on Fox from 9pm and will pick up straight after the shocking events of episode 8 which aired in early December. It's been a long wait but it's finally back. To tide you over, here's what I've been writing at Yahoo since the first half of the season ended. Here are the biggest burning questions on everybody's minds as we move in to the second half which will air on UK TV on Monday 10th February. Will cannibals The Hunters join The Walking Dead season four? The Walking Dead’ season four is set to resume in just a couple of weeks now and fan speculation as to what will happen is at an all time high. Speculation suggests that we might be about to meet cannibal group The Hunters. Did The Governor really die in The Walking Dead? In the last episode of ‘The Walking Dead’, The Governor appeared to be killed off by first being stabbed by Michonne’s sword and then finished off by a bullet to the head. However rumours have circled that The Governor did not die at all. 'The Walking Dead' season four has been constantly eventful with deaths aplenty and other characters that have gone missing, often but not always presumed dead. Below are the three characters I most want to see return in the second half of season four. With season four taking a mid-season break until February, it is time to take a look at some of the biggest and best moments of the comics that have not yet made it into the TV series. Season four opened with Rick enjoying a rare moment of relative peace, farming in the prison garden. By the mid-season break, The Governor had returned and wreaked havoc. Along the way, sickness, walkers and murder made it a rocky ride! 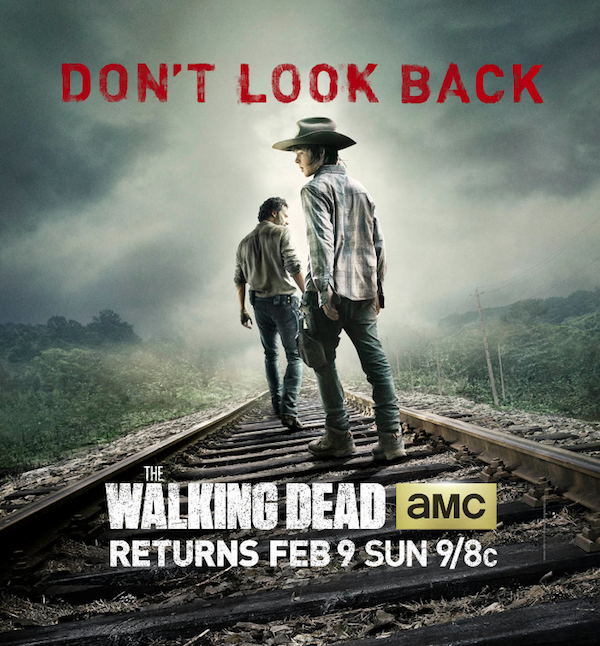 Are you excited for the return of The Walking Dead?